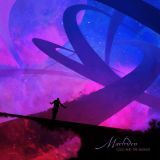 Back in 2010, Martriden released their album Encounter the Monolith. At the time, I was just an average reader at Metal Reviews, and checking weekly for the latest recommended albums. Martriden was a band I remember fondly, probably ranking in the most plays of any album I had that year. Unfortunately last year, Cold and the Silence slipped passed me until only about a week ago. I am happy to say that rediscovering this great band pulled me into the same state I was in years ago, enjoying every last bit of their music non-stop leaving me highly satisfied once again, if not more. Letting this one slip away from me last year made me feel more compelled to give this band a much needed mention, not just because their latest album impressed me, but how solid of a band they are overall. Pendulum begins with a groovy bass, also immediately giving off that trippy feel their last album mixed in so well. Overall, the band’s sound rides along the path of the melodic, mainly death, but elements of black will emerge. Vocals are harsh, but the band doesn’t let the raspy growls take over for the entire duration, including clean singing that flows well, and creates a moving atmosphere. A lot of great ideas are present in this album like Encounter the Monolith, surprising around almost every corner. The main title track Cold and the Silence starts off with a beautiful yet gloomy tone, until it boasts with melodic guitars. Martriden really know a thing or two about making their sound not only one that rips forth with groovy melodic riffs, but also moments can grow epic in sound as this track does, making you want to close your eyes and just be lost in the epic atmosphere. Invisible Cities brings out more of the hard-hitting riffs from the band, but still can seamlessly bring out a transcendental sound amid the more chaotic moments, never feeling the lest bit disconnected. Blackened Trees, one of the best tracks on the album, keeps the energy high and mighty, while balancing their trippy and epic sound all-in-one. Martriden is a band that just makes me love metal so much, with the way they vary with many emotions in their music. They remain excelling with creativity in their latest offering that will take you through a trippy, yet beautifully crafted heavy and melodic journey that is tough to forget. Cold and the Silence is easily one of 2015’s best albums.